So, have you chosen your favorite tourist destination in South India? What's next? Deciding the mode of transport? Well, this can be really tricky! You do have several options like bus, train and plane. But the best option is none other than hiring outstation cabs in Chennai or Bangalore. For those who wonder why, the reason is pretty simple. Hiring outstation cabs will let you have multiple stop-over, explore the far-flung areas of the places, and travel at your own pace and convenience. 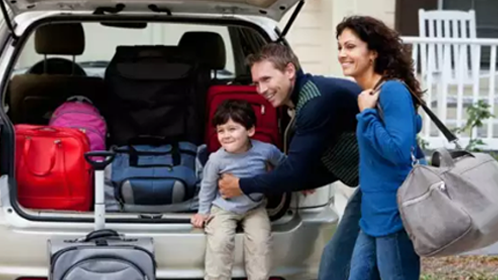 EziDrive has a well maintained fleet of vehicles including Indica, Sedan, MUV that can be deployed according to your budget and group size for outstation travel within 4 hours of the receipt of the request. Customers planning a holiday trip to popular tourist locations can be provided with a suitable cab driver who can double up as a tour guide. This is possible because EziDrive is the preferred cab partner for a number of tour & holiday companies in Bangalore & Chennai. EziDrive is a user-friendly platform that lets you choose your outstation cabs easily and booking can be confirmed in a few simple clicks. We are committed to offer well maintained cab for hire and a world class travel experience through our highly expert drivers and time bound services. Our tariff for Outstation cab booking for both Chennai and Bangalore location is very competitive and exactly what you are expected to pay. So what are you waiting for? Your preferred outstation cab booking can be done through Ezi Drive quickly. To have a memorable trip, call us right away at (080) 424 00 000 / 67 000 000 (Bangalore) & 8822800800 / 08067000010 (Chennai) for the best deal. *Note: Permit and Toll Charges if any, will be extra and charged at actual. After 10pm Driver batta will be charged double. *Note: Permit and Toll Charges if any, will be extra and charged at actual. After 10pm Driver batta will be charged double.